BONN, Jun 12 2015 (IPS) - This week, Peru became the first South American nation to publicly announce its Climate Action Plan, or INDC. In doing so, it may have set the scene for a new wave of highly transparent and ambitious INDC submissions from the continent. This most recent plan comes after 12 years of collective planning, as Peru developed a suite of regional and national strategies to address climate change. As a result, the government of Peru has come out with an ambitious proposal to cut business as usual emissions by 31 per cent. However, it is the carefully constructed road map towards this goal that displays what Tania Gullen from Climate Action Network Latin America describes as its true “leadership”. Gullen, who is also from SUSWATCH, has welcomed the new draft action plan “as an example for other Latin American countries who are still developing or haven’t started their national planning processes”. This is because Peru’s target of 31 per cent is backed up by 58 clearly outlined different mitigation projects. These projects cover energy, transport, agriculture, forestry and waste management. While two of these projects involve a shift from coal to natural gas, rather than renewables, each of these options has been carefully identified and their emissions reduction potential quantified. This makes it very easy for Peru to ask for support from developed countries to help improve on its commitments. In fact, the government has even outlined how it can increase emissions cuts to up to 42 per cent with an extra 18 projects. Considering the planning that has gone into creating this additional scenario of a 42 per cent reduction by 2030, this could also be released as a twin-track conditional and unconditional pledge. Marcela Jaramillo from E3G believes this is a key aspect of the Peruvian proposal that should be copied by other Latin American states. She argues that “the INDCs” need to be “translated into investment plans that attract national and international resources”. She believes that these resources will “build action on the ground in hand with government, private sector and all critically supported with actively engaged citizens”. 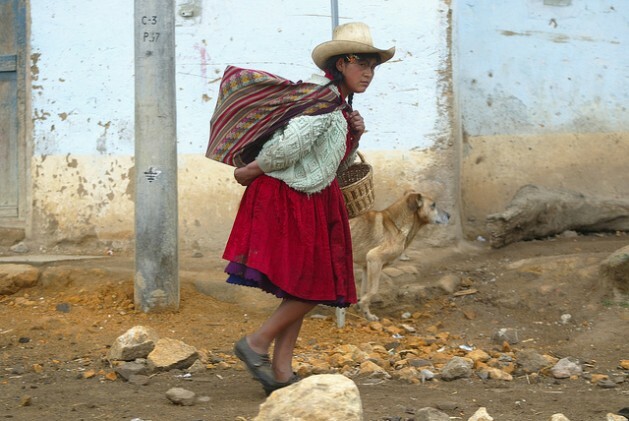 Citizen engagement may be critical to Peru being able to achieve these ambitious plans. However, the most recent pledge also makes the country vulnerable. There are those who are worried that given a poor implementation record in the past, the government is opening itself up for failure. Last year, NGO’s at COP20 in Lima criticised the government’s “Law 30230”, which they argued “decouples environmental protection from economic growth”. As such there are ongoing concerns that environmental bodies in Peru will have the power to “regulate and supervise economic activity like power and infrastructure development”. Other questions have been raised over Peru’s business as usual projections. After years of political instability and all-out conflict in Peru during the 1980’s, Peru’s economy has transitioned from one of the lowest levels of economic freedom in the world to now being ranked as the 20th most-free economy in the world, according to the Economic Freedom of the World 2014 Annual Report. This has been partnered by a relatively consistent growth rate of 5.5 per cent per year. However, Peru’s growth has slowed over the last 12 months and is not represented in its “Business As Usual” scenario. 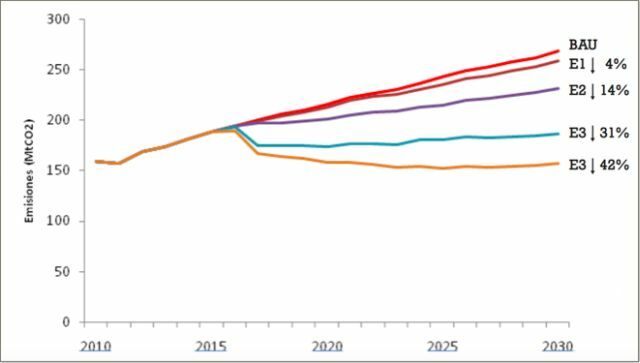 Here, its emissions trajectories are based on its growth rate leading into 2013, rather than the reality that had been witnessed more recently. Under a BAU scenario, it is estimated that Peru would increase its annual emissions to 216 million tonnes of CO2 eq., and that this would rise to 243 millon tonnes by 2o25, and to 269 millon tonnes CO2eq by 2030. As Bitia Chavez, a young Peruvian from Generacion+1, has suggested, it is critical that Peruvians are “aware and fully engaged in this process to contribute positively to the environment”. However, it won’t just be this clearly laid out mitigation pledge that Peruvians will have to decide on. Peru has also developed an extensive adaptation package. Its adaptation plan focusses on decreasing the vulnerability of its largely agrarian population, and even has distinct indicators for how to meet adaptation goals going forward. This includes specific adaptation sectors, objectives and indicators. Below is an example of its specific goal of ensuring health as a key adaptation sector. Considering that a number of developing nations have called for a global adaptation goal to be a key part of the Paris agreement, the inclusion of quantifiable adaptation goals within the Peruvian INDC could be a key step that other countries may also like to follow. This may indeed be one of the goals of Peru, as Argentinian campaigner Tais Gadea Lara believes its extensive INDC may be a wake-up call to some of the country’s neighbours who “haven’t realised yet the power they have on their hands to participate actively through delivering an ambitious INDC”. She noted that in the case of Argentina, there is a disconnect between its strong stance within the negotiations, and lack of action domestically.